Whether you realize it or not, just about everyone has heard at least a little something from Pittsburgh’s jazz community. For instance, Erroll Garner had a monster hit with “Misty” and George Benson became the original jazz cross-over artist. Even if they do not ring any bells, virtually everyone will have heard the piano stylings of Johnny Costa, who for years scored Mister Rogers’ Neighborhood. One of the richest regional jazz scenes gets its overdue ovation in Jeff Sewald’s We Knew What We Had: The Greatest Jazz Story Never Told (trailer here), which airs this week on World Channel and throughout the month on finer PBS affiliates throughout the nation. The honor roll of Pittsburgh jazz greats will make your eyes pop: Earl “Fatha” Hines, Art Blakey, Erroll Garner, Mary Lou Williams, Billy Eckstine, Ahmad Jamal, Ray Brown, Stanley Turrentine, Kenny Clarke, and the great Billy Strayhorn. To use an academic term: “wow.” If you are wondering how Pittsburgh got so hip, Sewald and his on-camera experts offer a cogent explanation of the historical dynamics. Pittsburgh was a river town that ported riverboats that trekked up from New Orleans. It was also strategically located as the first logical stop on a cross-country tour for musicians based in New York. Plus, it had integrated schools since the late 19th Century, which meant African American student had access to music education. Of course, that does not explain why so many legendary musicians happened to be born in western Pennsylvania, but the presence of so many greats clearly inspired successive generations. 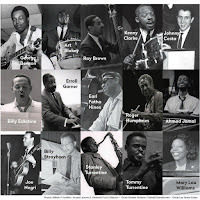 To its credit, WKWWH also gives due time and credit to talent that largely stayed local, like former Horace Silver sideman, drummer Roger Humphreys. It is a shame outside political and cultural factors conspired to put a damper on the Pittsburgh scene, because this film would otherwise motivate viewers to book Amtrak tickets to Steel City. Frankly, it would probably be even stronger if there were a little less of the experts talking and a little more music. However, one of those experts is the late, great Geri Allen, who hailed from Michigan, but played Mary Lou Williams in Robert Altman’s Kansas City and taught jazz at the University of Pittsburgh. It is still hard to believe she is no longer with us. 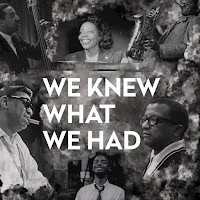 Obviously, there is plenty to say about Pittsburgh jazz musicians, since at least three of them, Billy Strayhorn, Erroll Garner, and Mary Lou Williams have already been the subject of their own documentaries. Just about everyone else could also easily sustain their own profile, especially Blakey, Costa, and Hines. This is true jazz royalty, from a city of grit and industry. Clearly, Sewald gets that—and he keeps the film pacing along nicely, so he can touch all the necessary bases in the hour-long running time. Highly recommended, We Knew What We Had airs tomorrow (2/6) and Wednesday (2/7) on World Channel and next Thursday (2/15) on Pittsburgh’s WQED.